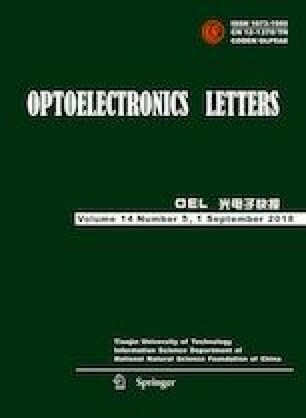 To achieve uniform distribution of silver nano clusters (SNCs) on substrate and reveal its effect on the performance of organic light-emitting diode (OLED), the SNCs incorporated OLED was fabricated and SNCs were coated by multi-step spin coating. Compared with the device without SNCs film, the brightness and current efficiency of the OLED devices with SNCs film were highly raised. The enhancement is attributed to SNCs induced local surface plasmon (LSP) oscillation, which can increase the radiative rate of excitons on Alq3 molecules. This work has been supported by the Fundamental Research Funds for the Central Universities of China (No.JD2016JGPY0007), the National High Technology Research and Development Program of China (No.2012AA011901), the National Program on Key Basic Research Project of China (No.2012CB723406), the National Natural Science Foundation of China (No.51573036), and the Industry-University-Research Cooperation Project of Aviation Industry Corporation of China (No.CXY2013HFGD20).